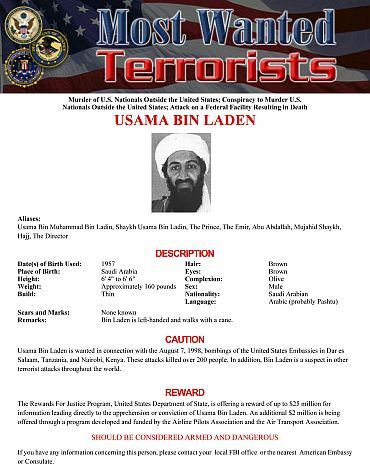 Osama bin Laden, the world's most wanted terrorist, was killed early on Monday by United States special forces in a helicopter-borne operation at Abbottabad, near the Pakistani capital, climaxing a over 10-year long massive manhunt. 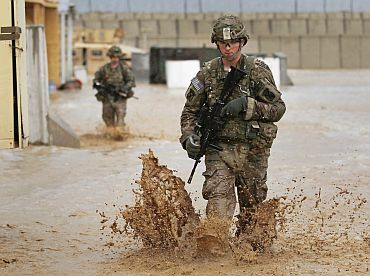 The special forces personnel swooped down on the compound where bin Laden was holed up guarded by his ultra loyal Arab bodyguards in a pre-dawn operation killing the dreaded terrorist, US officials said. The news of the slaying of the world's most prominent terror mastermind was broken to the world by US President Barack Obama, who made the announcement live from White House. Bin Laden, 54, is dead and his body is in US custody," President Obama said at half past midnight US time after the initial story had been broken by news channels. Though it was dark, crowds massed outside White House chanting 'USA, USA'. Besides the Al Qaeda chief who carried a bounty of $ 25 million, two couriers one of whom was his son and the other a woman, reportedly used as human shields, were killed in the operation, unnamed American officials were quoted as saying by ABC News. First reports said that it was through these couriers that bin Laden had been traced. Other women and children present in the compound were not harmed, according to Pakistani officials. An American helicopter was destroyed by US Navy Seals after it was damaged and crashed during the operation that targeted a large compound in Bilal Town area near Abbottabad, 120 km from Islamabad. There was no word from the Pakistani government or military on the operation. Two US helicopters swept into the compound at 1.30 am and 2 am and 20 to 25 Navy Seals under the command of the Joint Special Operations Command stormed the compound in cooperation with the CIA and engaged bin Laden and his men in a firefight, US officials told ABC News. Bin Laden fired his weapon during the fight, the US officials said. 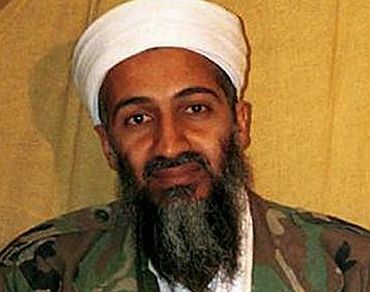 The Americans took bin Laden's body into custody after the firefight and confirmed his identity. One of the US helicopters was damaged during the operation and the troops decided to destroy it themselves with explosives. Several Pakistani news channels beamed grainy footage of a burning helicopter on the empty lawn of the compound. They also beamed footage of the compound surrounded by Pakistani troops this morning. Pakistani troops also conducted a house-to-house search in the area, reports said. The house in which bin Laden was living was located amidst agricultural fields and had seven-foot walls topped with electrified wire, Pakistani TV news channels reported. The US had reportedly been monitoring the compound for months after receiving a tip in August last year that bin Laden might be sheltering there. The house had no phone or televisions and the residents burned their garbage. The house had high windows and few access points and US officials concluded it had been built to hide someone. Media reports said the house was occupied by some men from Khyber-Pakhtunkhwa province. The Pakistan Military Academy is located near Abbottabad, a historic city named after Major James Abbott, a British military officer who founded it in 1853. 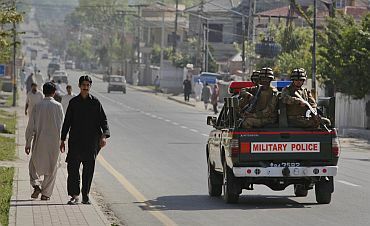 US officials had earlier said that they believed bin Laden was hiding in Pakistan's tribal belt bordering Afghanistan. 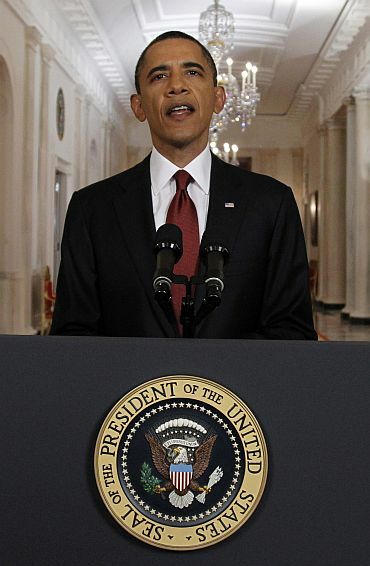 Announcing the killing of bin Laden in a television address, President Obama said: "A small team of Americans carried out the operation... After a firefight, they killed Osama bin Laden and took custody of his body." Soon after Obama's address, the Pakistani Taliban claimed bin Laden was not killed in the pre-dawn operation. "The report is baseless," the Taliban said in a statement sent to Geo News channel. What will Al Qaeda do next?